Pornstar Stormy Daniels vowed to fire lawyer Michael Avenatti if domestic violence allegations he was arrested for are proven true, she said in a Thursday statement to New York Magazine. 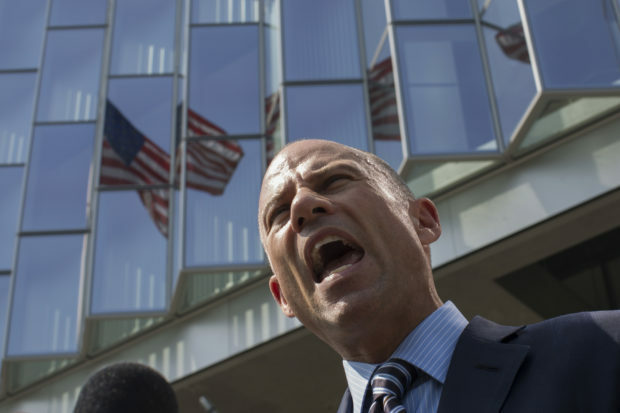 Avenatti was arrested by the Los Angeles Police Department late Wednesday on allegations of felony domestic assault and released later that day on a $50,000 bail. Avenatti later tweeted about the allegations suggesting that pro-Trump twitter personality Jacob Wohl was somehow involved. Wohl is currently under investigation by the FBI for allegedly attempting to coerce a woman to bring a sexual assault allegation against special counsel Robert Mueller.